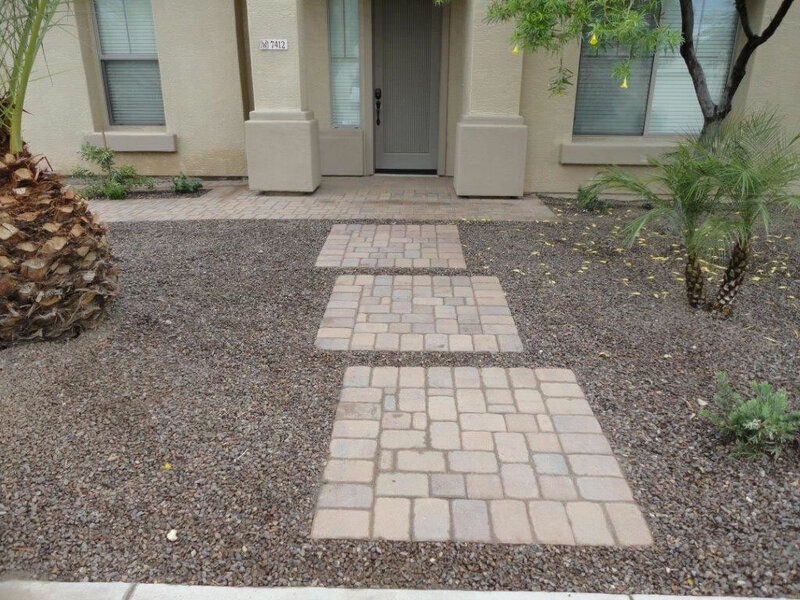 Ready to change your look? 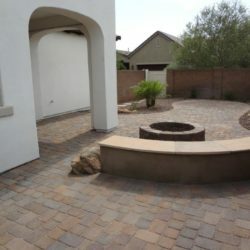 Our Pavers in Phoenix can help! 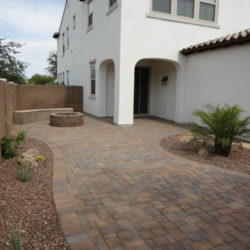 When it comes to pavers, Phoenix relies on MasterAZscapes LLC. 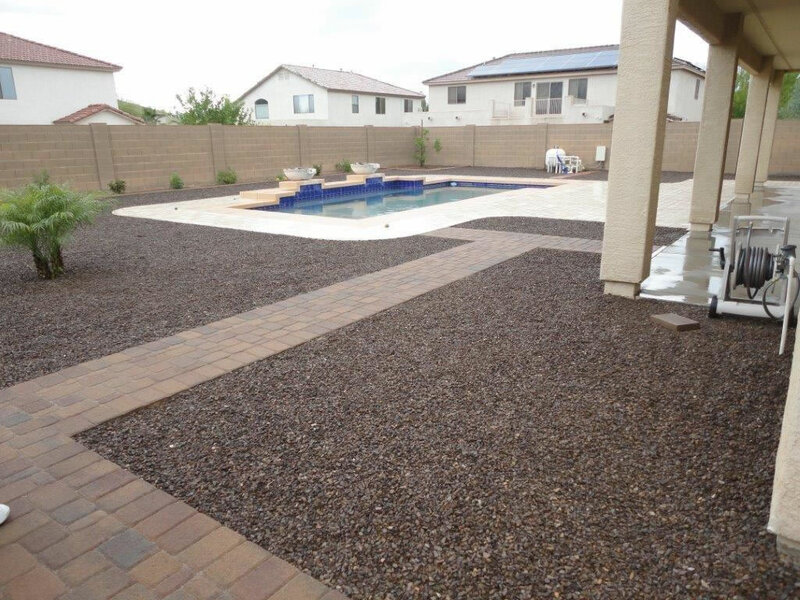 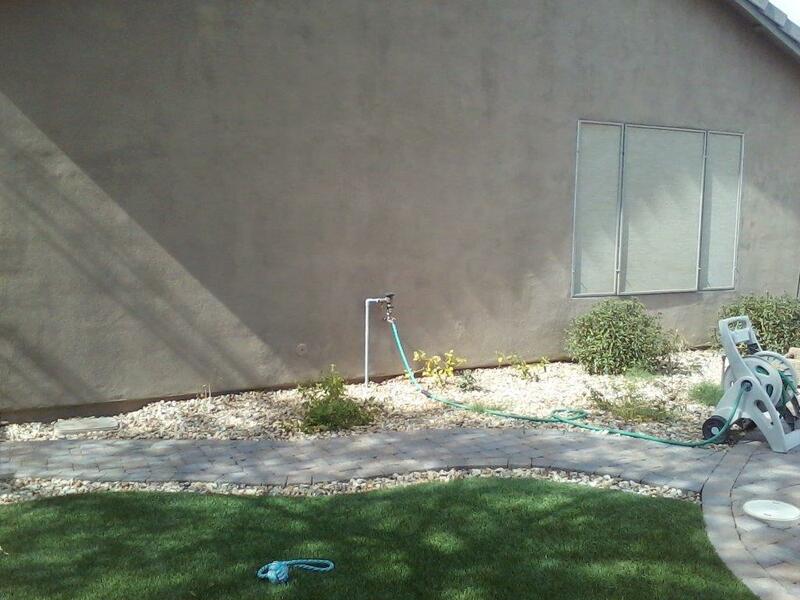 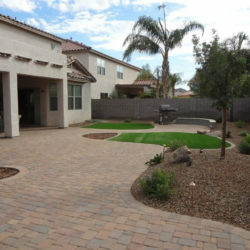 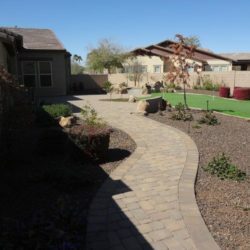 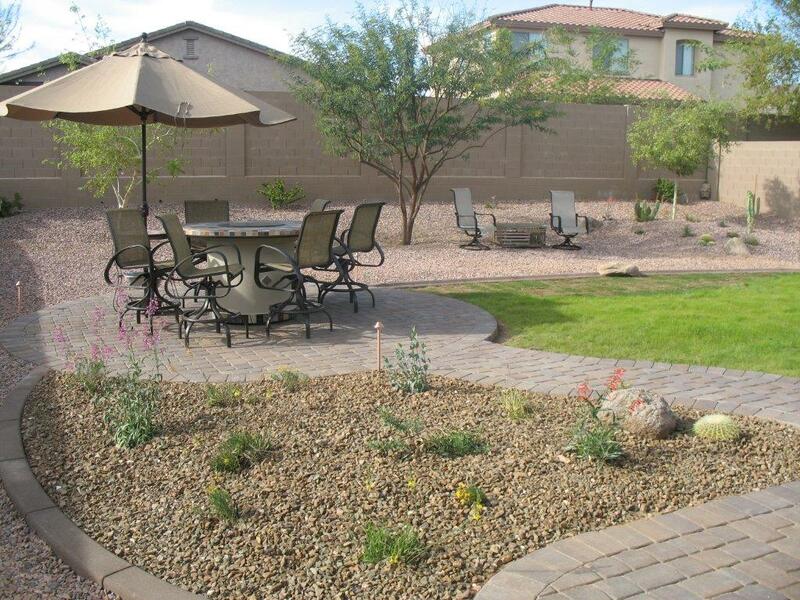 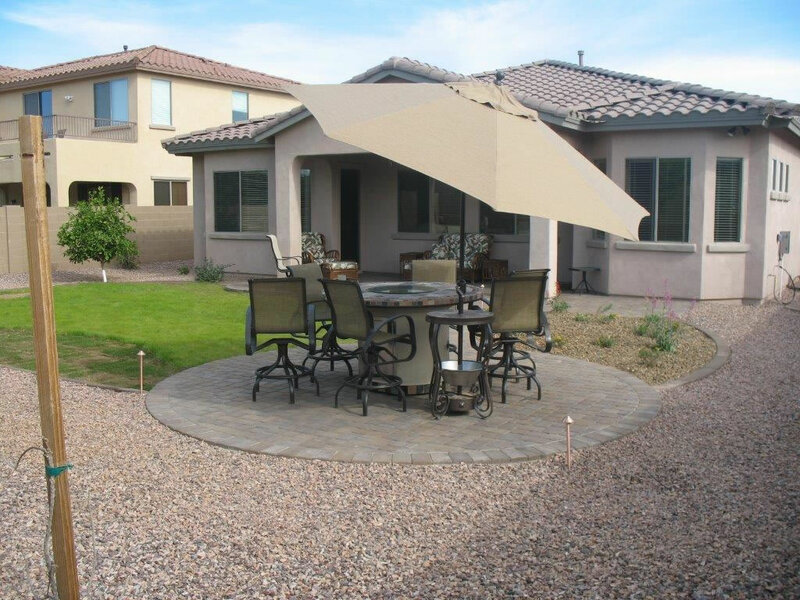 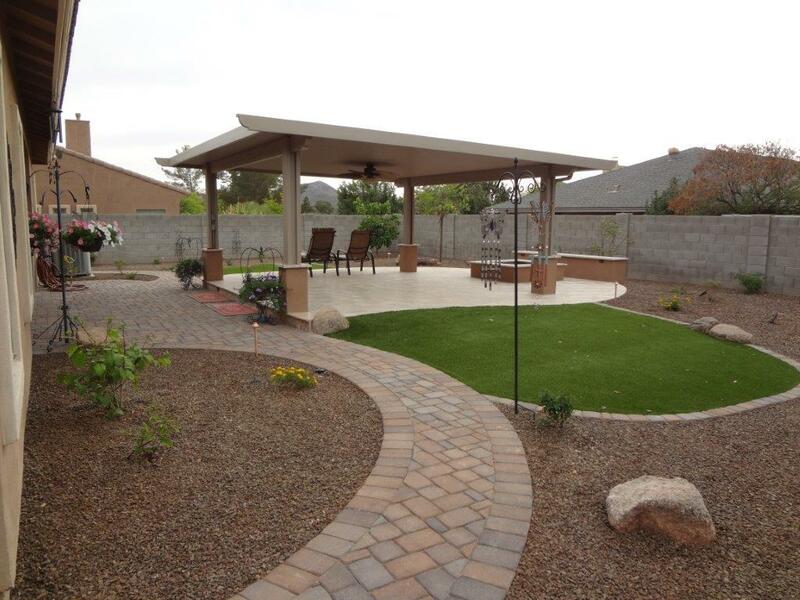 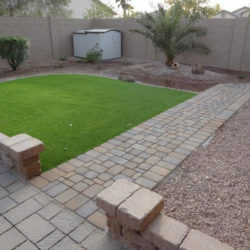 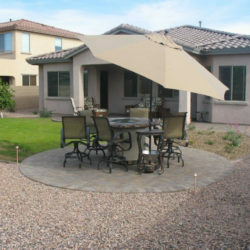 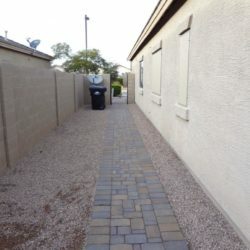 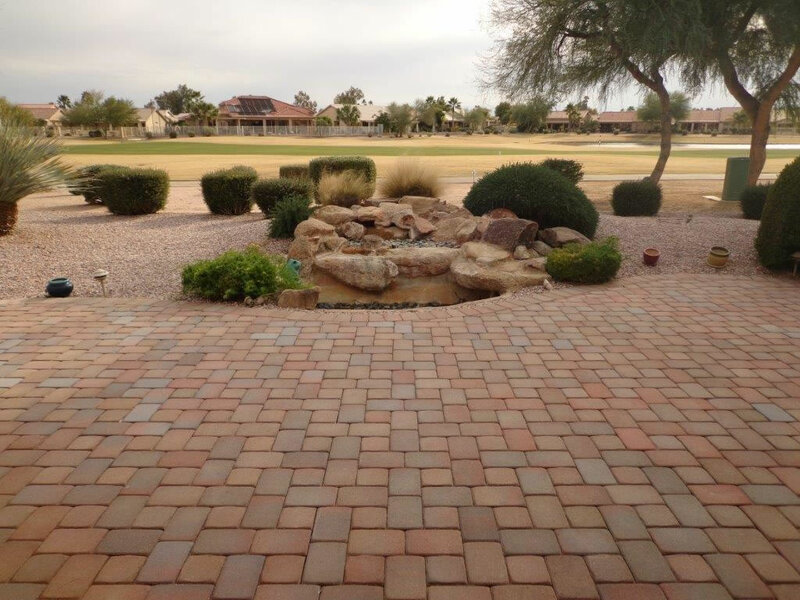 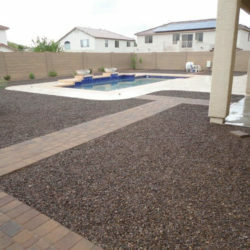 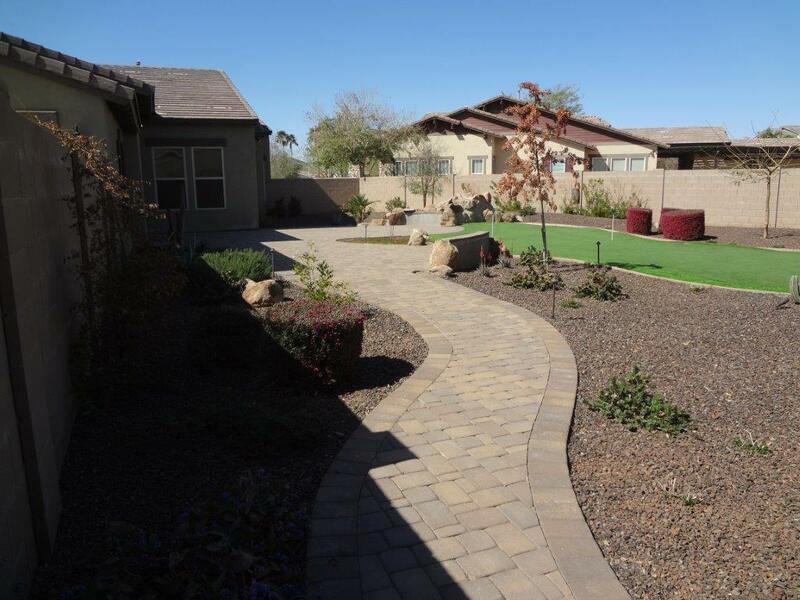 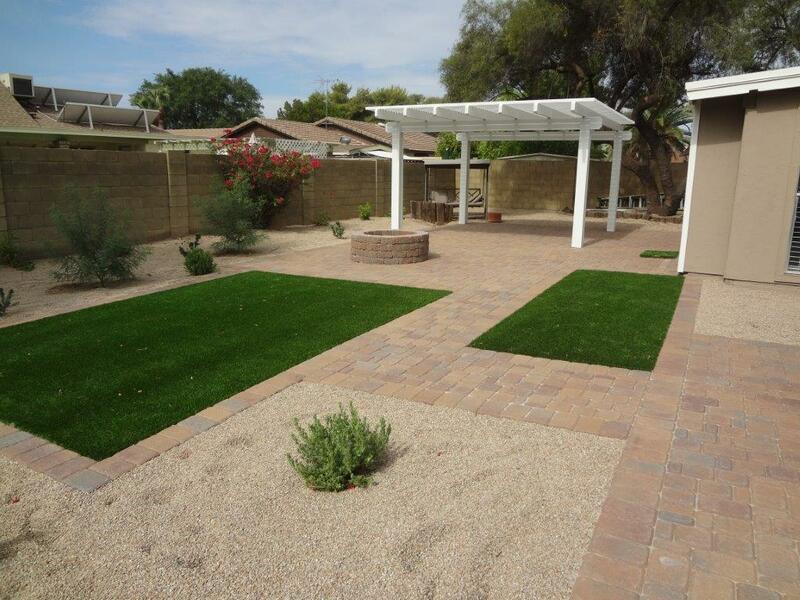 Our landscapers have been paving in Phoenix for over 15 years. 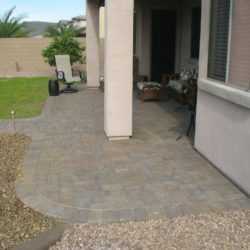 This has provided us with the knowledge you want from your paver company. 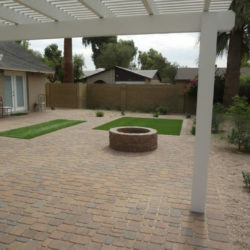 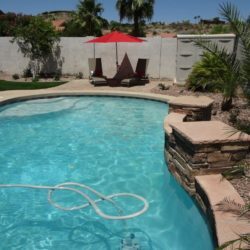 There are dozens of reasons to choose us for your premier pavers in Phoenix, so we’ve narrowed it down to the most important. 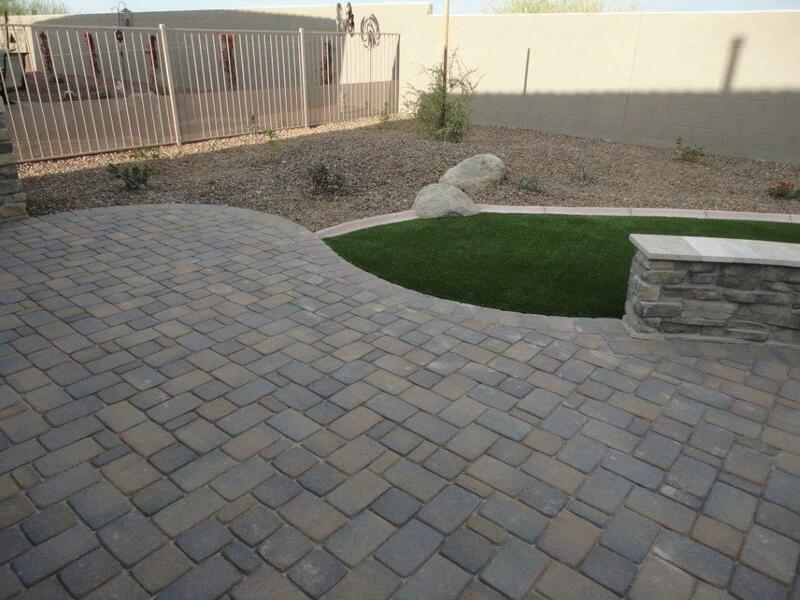 Customer Satisfaction – We believe customer service is one of the most important aspects of doing business. 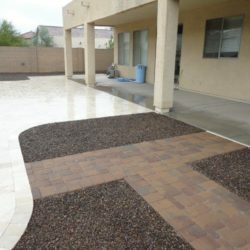 We strive for the best and that is why we have so many customers satisfied with our work as pavers Phoenix depends on. 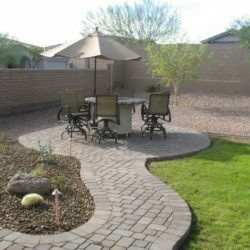 We never forget that it is your property we perform work on. 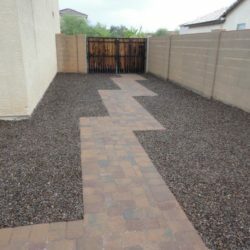 Once we finish, you will be the one enjoying our paving work for years to come. 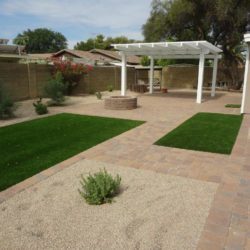 We believe your inclusion in the process is essential for our success. 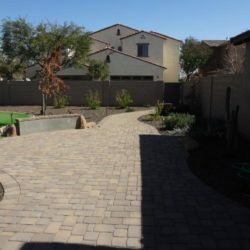 That’s why you get consulted on every step of the project, so that we can ensure your pavers are organized exactly how you want them and match the dream you have entrusted us to help you realize. 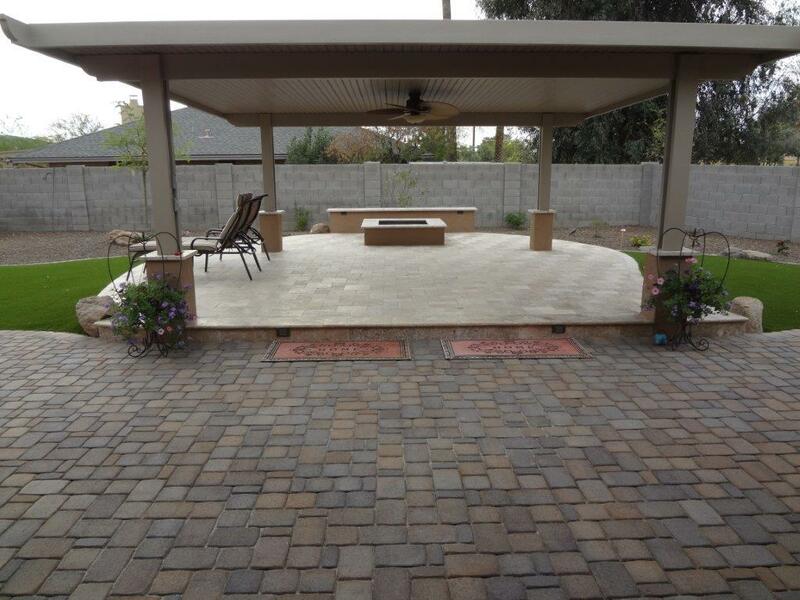 Experience – After 15 years working with pavers we have learned a thing or 20. 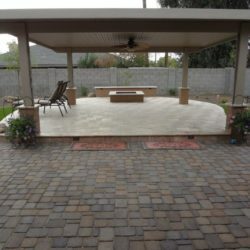 We know the ins and outs of pavers. 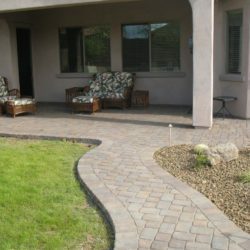 We can advise you on factors that can keep you enjoying your pavers long after we have departed. 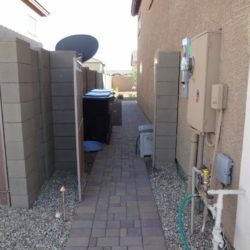 Considerations need to be taken for environmental factors. 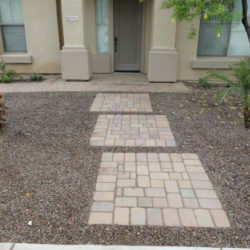 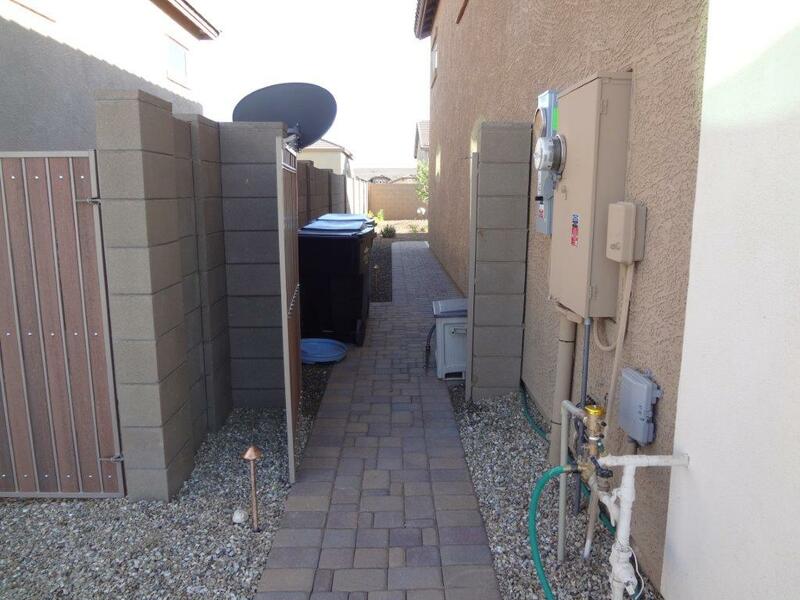 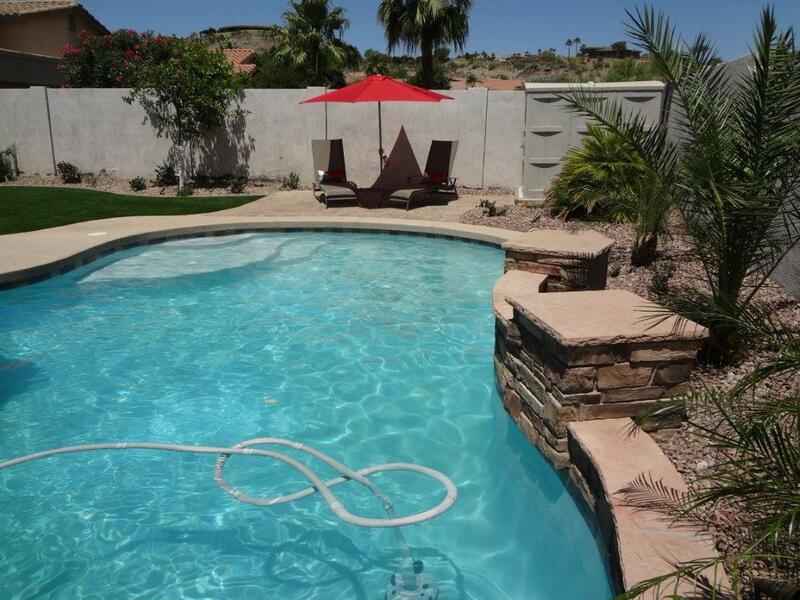 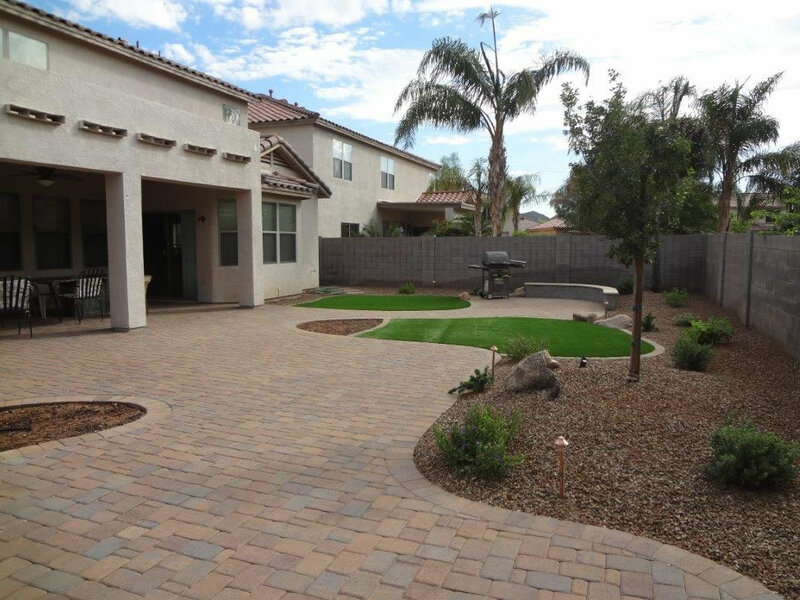 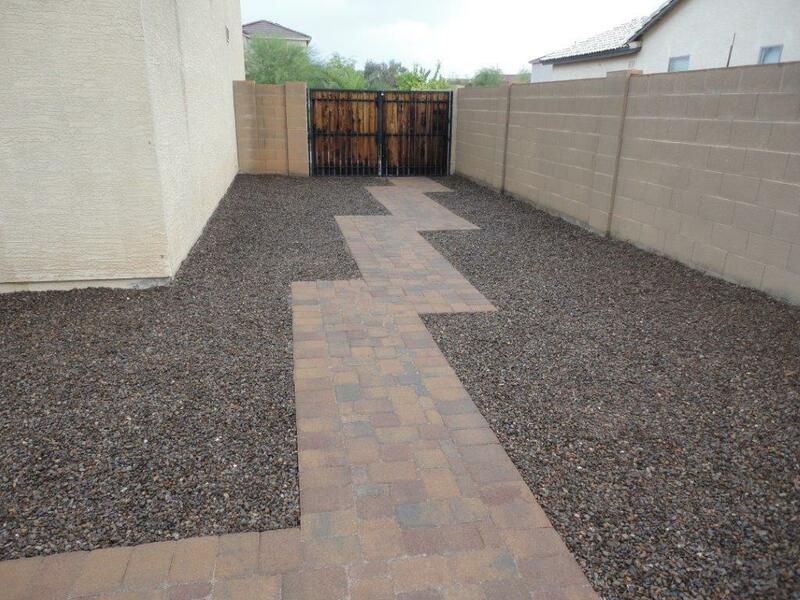 With pavers, Phoenix weather conditions bring up issues like drainage during monsoon season. 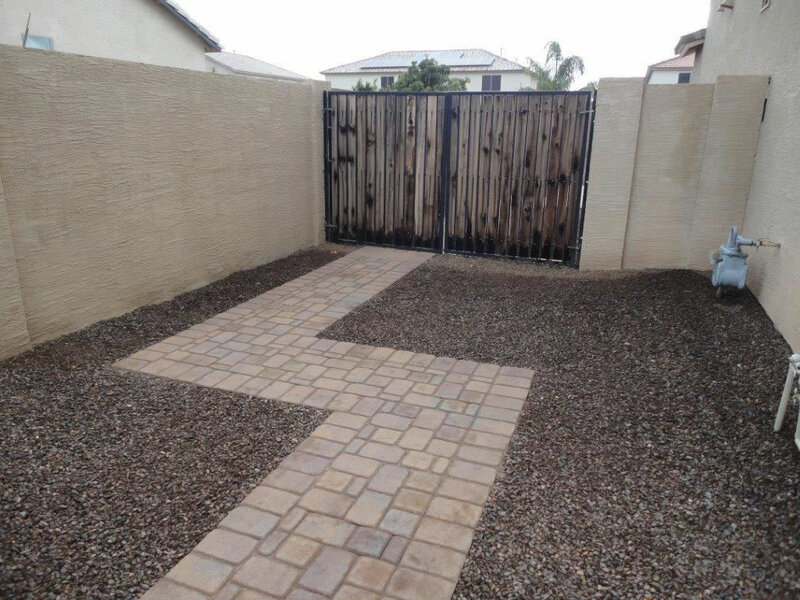 Our experience lets us navigate around problems before they arise, so you can enjoy your new walkway, driveway, or patio problem free. 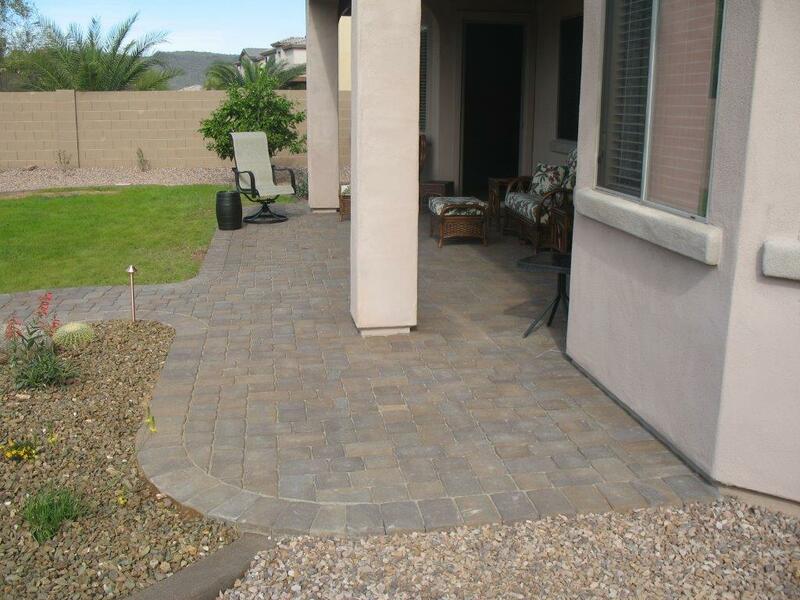 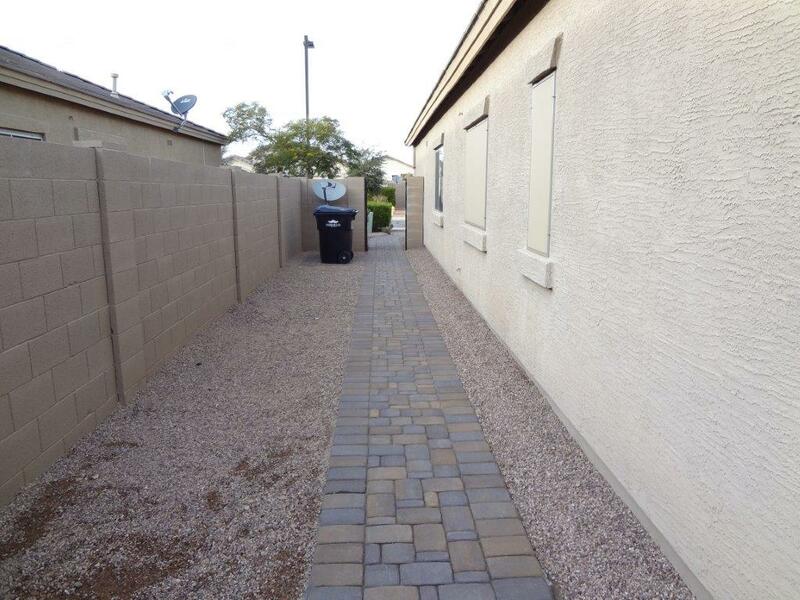 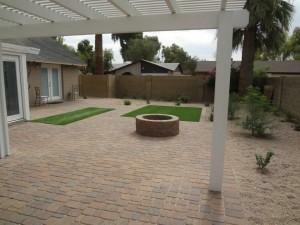 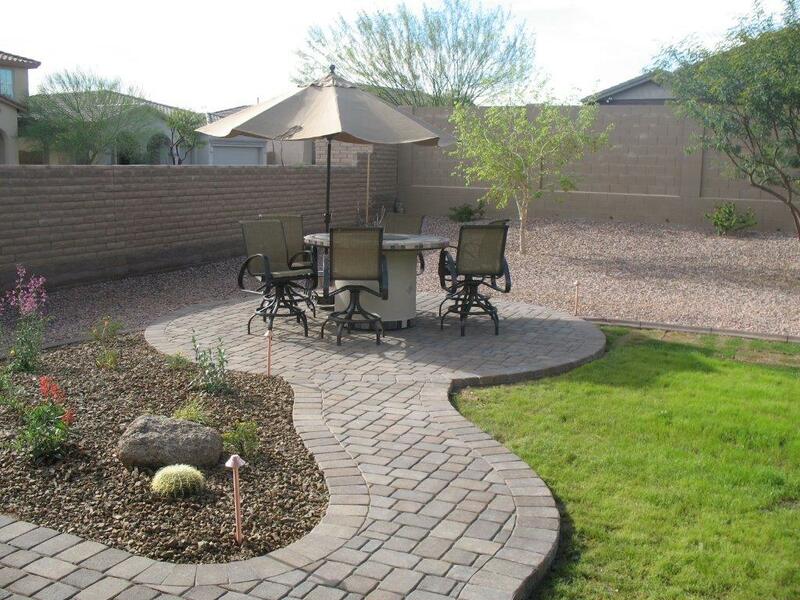 Workmanship – Our workmanship with pavers in Phoenix is unparalleled. 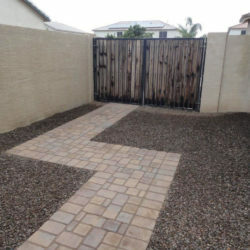 We only employ craftsmen with an incredible attention to detail, so you can be guaranteed no paver will be out of place. 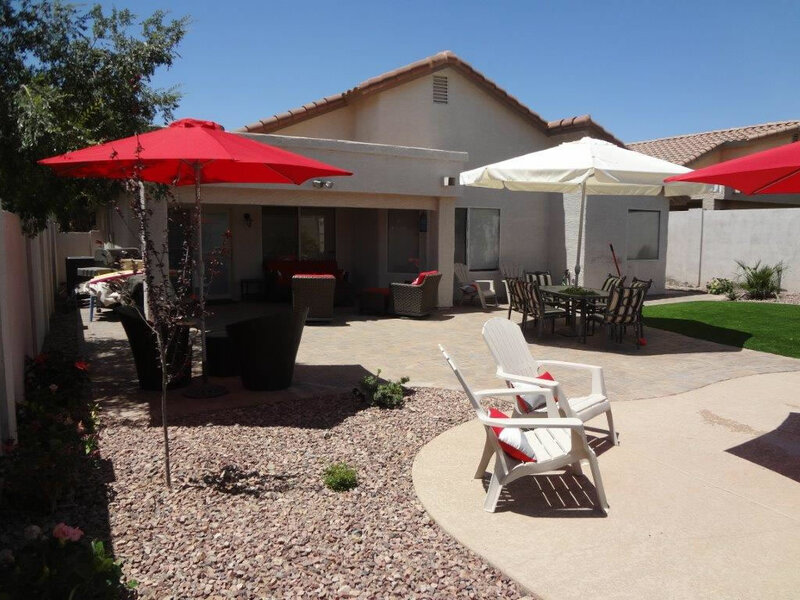 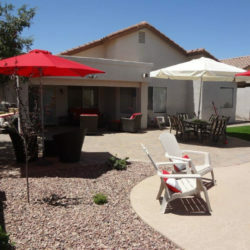 A newly laid outdoor space should look incredible from every angle—when it’s built by our expert pavers, Phoenix property owners see the quality of our work for themselves. 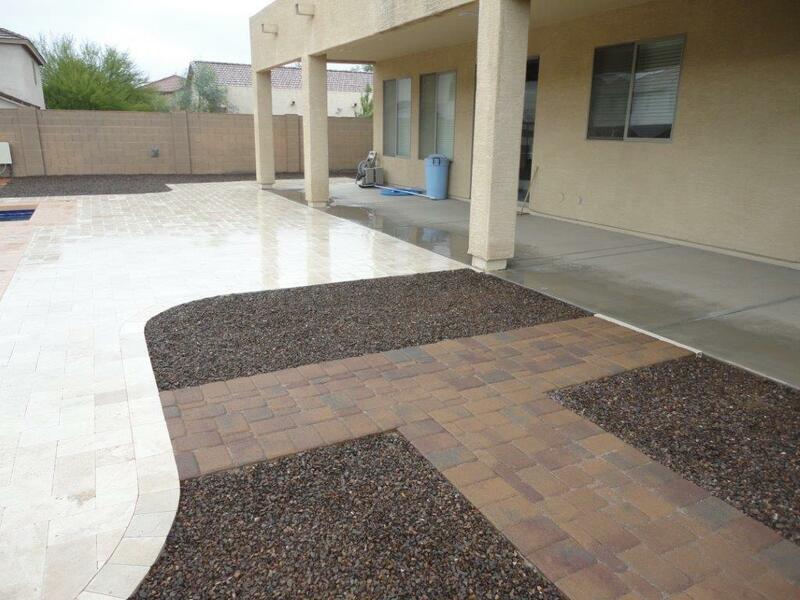 We can account for any variations in your property. 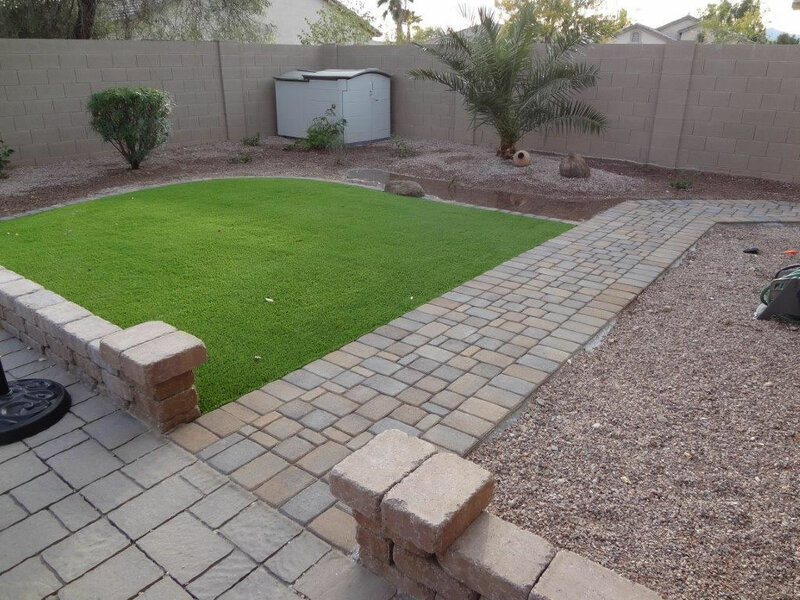 If you want a seamless transition from dry land to grass or a water feature, we have the skills to make it look incredible. 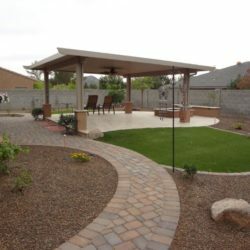 Design – We perform all of our own design work. 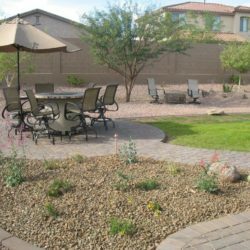 This way you don’t have to deal with multiple companies, and we can work closely with you to bring your visions to life. 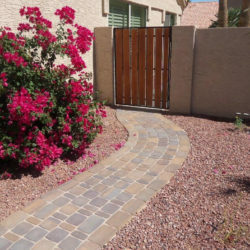 Pavers in Phoenix come in a variety of textures, styles, and colors. 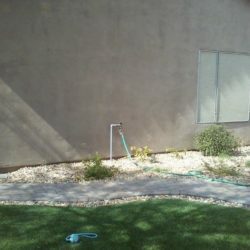 We can create pictures using differing colors, geometric patterns, and layouts. 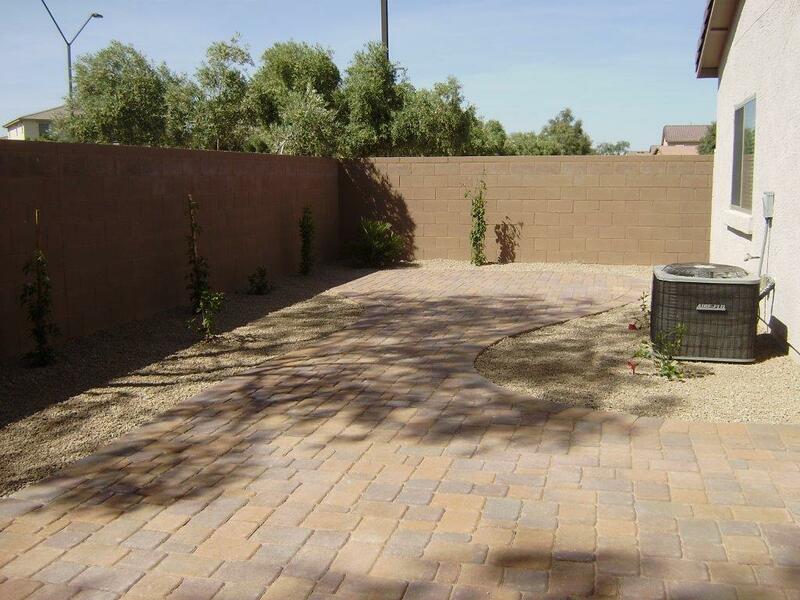 This provides you with an artistic and practical living area. 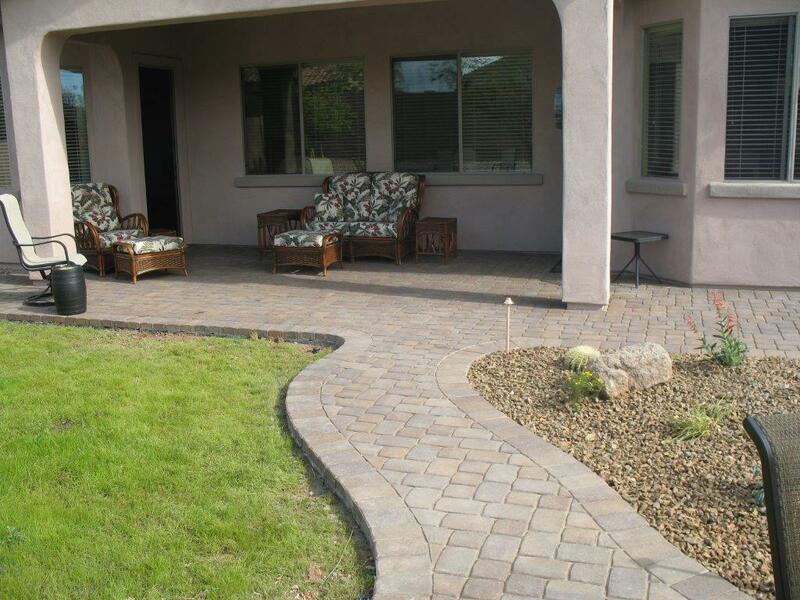 Pavers are also more resistant to cracking than concrete because the structure is composed of individual units instead of a solid piece. 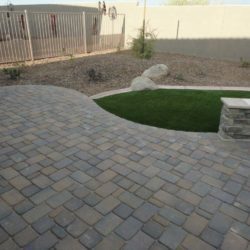 Installation – Performing the installation along with the design gives us the ability to make a functional, gorgeous outdoor area that works with your current landscaping. 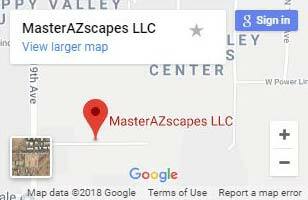 If need be we can also make changes on the fly. 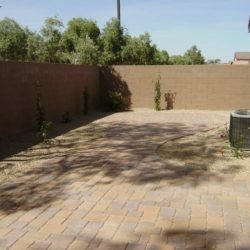 This lets us account for conceptual changes, and provides you with even more opportunities for creative placement and patterns. 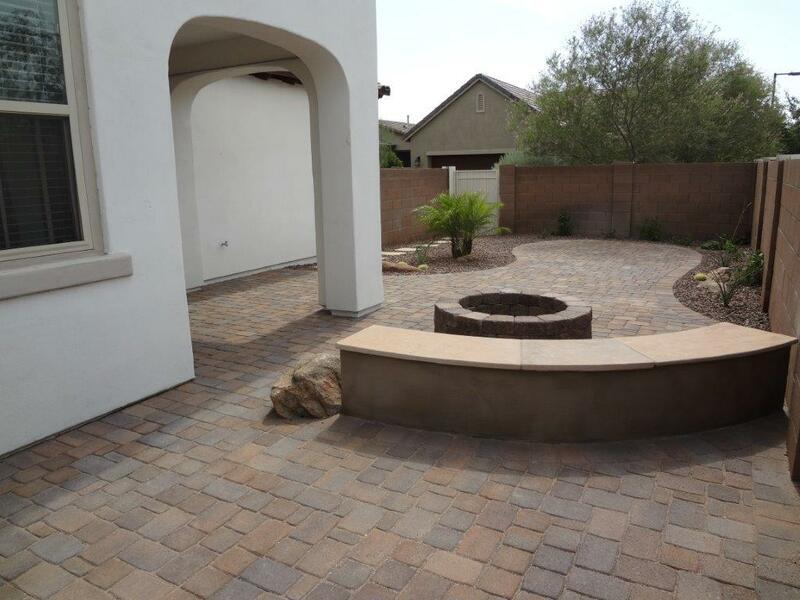 When you need pavers Phoenix homeowners trust most, Contact Us or call us today at (623) 780-0474. 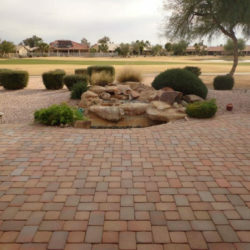 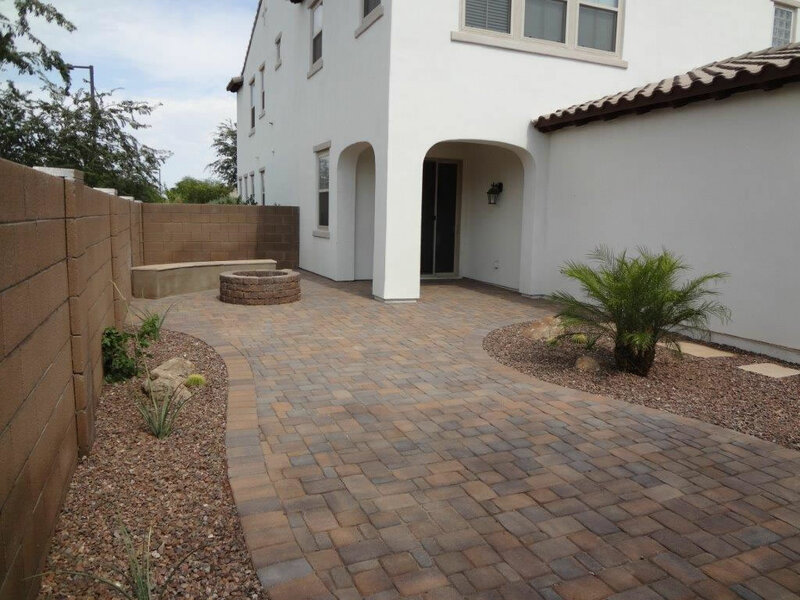 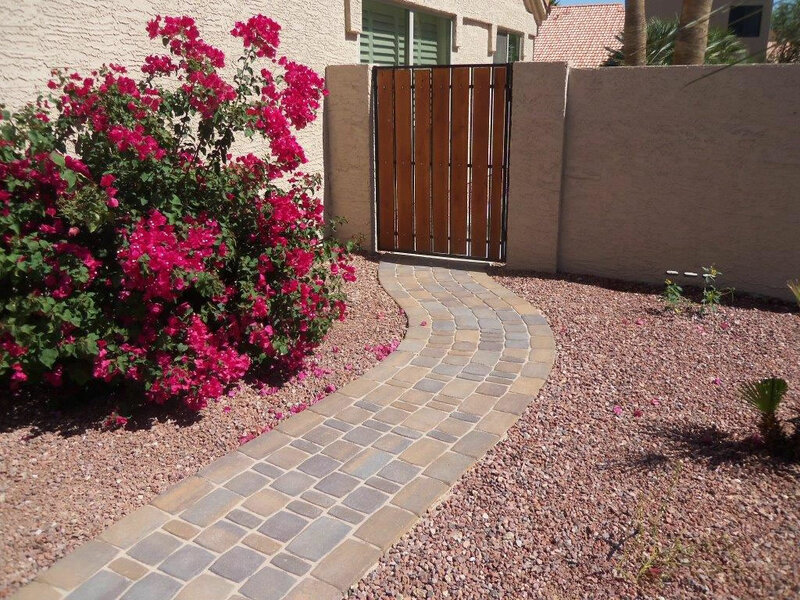 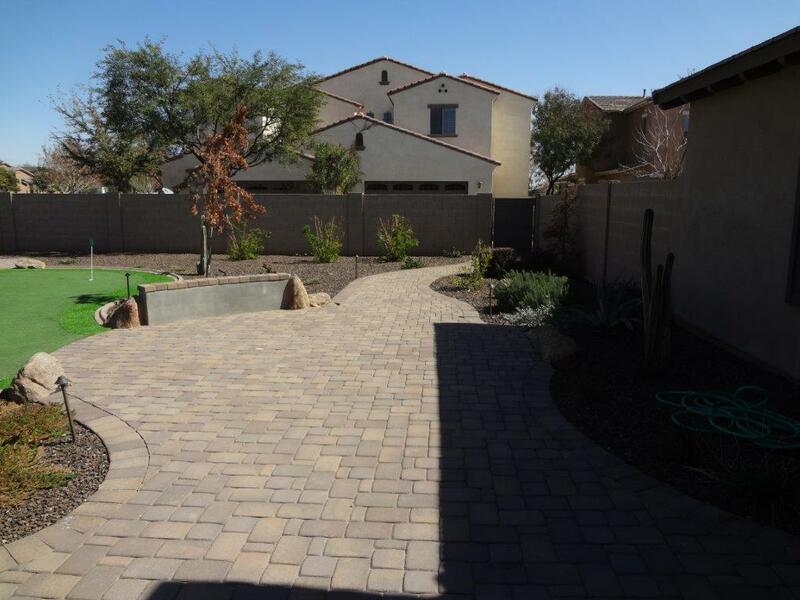 Our pavers in Phoenix provide the best service, personalized work, and an area you can be proud to call your own.